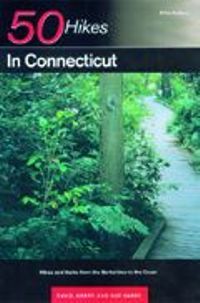 50 Hikes in Connecticut, by David, Gerry and Sue Hardy. 5th Edition, 2002. Covers a diverse range of hikes in every corner of the Nutmeg State, from the northwestern hills through the Connecticut River Valley to the southeast coast. 234 pp, 6” x 9”.